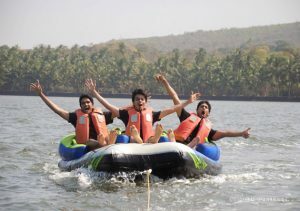 The water sports activities in Malvan available at two different location. One is at Dandi beach and other is near Tsunami island devbag. In Devbag, the troops of local youngsters have started this activity under a single roof of water sports association in Devbag. One can book either a package of 5 games or each game separately. Para-sailing in devbag is most attractive and thrill creating game which is not included in 5 game package. speedboat is a boat powered by an inboard or outboard engine. Speed boat is a adventure game for tourists coming to visit Malvan. It create great craze for children. Who loves speed and thrill with the water can’t resist to get into a speed boat. Speed boat can carry six to eight tourists at a time. 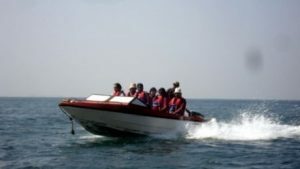 There are three to six people with a driver in the boat and you get this golden opportunity to experience thrill with the speed at the same time it explore the Tarkarli and Devbag backwater and creek view. Fast and furiously racing with the water, speed boats give an excitement that lasts for long in your life. So, hold onto your hats and keep ready yourself for an unforgettable journey in Malvan. By Leaving your worries and fears at your home, experience this truly amazing and stimulating water sport activity in Malvan. This is your true love you have with water, certainly. Travelers hit this place each year to play with the hypnotizing adventure offering here in Devbag, only one has to engulf, excite and amuse you thoroughly. Especially for the ones who love being consumed and capitulated to the challenging waves and thrilling rush of the water, Jet Ski is one of the most popular thrill creating water sports in Devbag. You would be thrilled when the water of the sea splashes on your face, soothing and calming you, while you ride and indulge in this exciting adventures in Tarkarli. Jet Ski is indeed one of the most adventurous water sports in Maharashtra, while tourists come from all parts of the world to experience its fullness and expertise. Banana Boat Ride will give you exciting ride that can be experienced and enjoyed by the entire group visited. This is your chance to practice the ecstasy and the fun, while you scream your lungs out in this remarkable water sports in devbag. Another fun filled and exhilarating water sports activity in Tarkarli for all your excitement and water enthusiasts, come and experience it all by you. 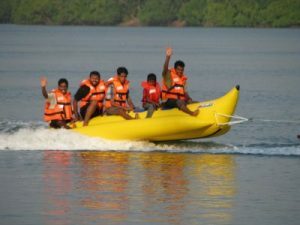 Banana Boat ride is another highlight of the amazing and thrilling water sports. The banana boat ride offers space for 4-6 people in a go, while the ride is full of fun, screams, laughter, excitement, adventure and memories. Enjoy your rides in motorized inflatable boats, whereas you haul at the water around you. For those who like little more speed and adventure in Tarkarli, than the centre’s fast furious Bumper ride is the perfect choice for you with space for two to three passengers. 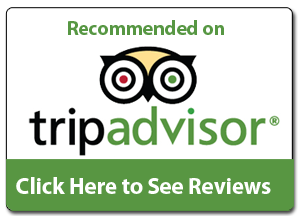 This is a great choice for family and friends to get thrilling experience. Be sure to hang on tight while you are towed through the water, because you will be bouncing around and catching some air as the captain steers the bumper tube over the raging wave wakes. The best part of this ride is rolling in to the refreshing water when you just can’t hold on any longer.